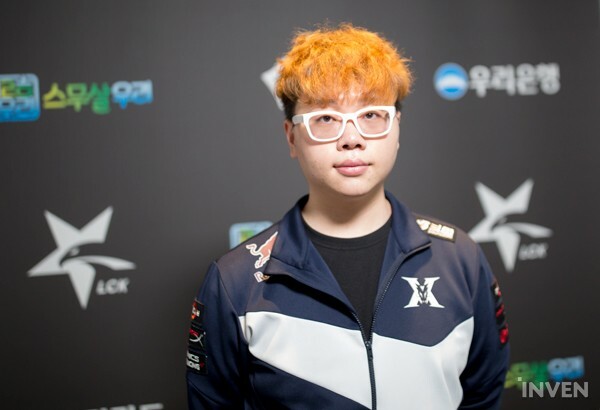 KZ Pawn: "I don’t know if I could say this… but I believe myself to be a top 3 mid laner here in the LCK. (Laughs) In order to prove my words, however, I’ll need to defeat Faker [on our next match]." On the 3rd of February, at the Seoul LoL Park, the 15th day of the 2019 LCK Spring Split took place. On the first series of the day, Kingzone DragonX fought against Gen.G Esports, in which Kingzone came out victorious with a score of 2-1. In game 1, Pawn had shown an interesting itemization on Akali and had played Talon in game 2. The following is an interview with KZ Pawn. How do you feel about your victory today? I heavily underperformed on Talon in game 2. I was very disappointed in myself. I don’t know if I’ll ever play Talon again, but if I do get a chance, I’ll do better. Today, Deft and TusiN played really well, especially TusiN. Fans were very excited when they saw the SSW Talon. However, the pick didn’t work very well. Why do you think that was the case? The Talon pick wasn’t really a pick that we had prepared for; it was a pick that was decided on the spot during picks and bans. I was in a situation where I had to pick an AD mid lane champion as our bot laner had taken an AP pick. Although Fly did very well against the pick during the game, the real reason why Talon didn’t work well was that of my poor performance and the communication issue that our team had during the game. I had to push my lane and roam in order to fully utilize Talon’s strength, but we constantly ran into communication problems - one side will argue that I shouldn’t roam, while others would say it’s a perfect opportunity. I believe the Talon pick wasn’t the problem, our communication was. Your itemization on Akali in game 1 was very fascinating. I actually prefer building AD on Akali. Also, the enemy mid laner and jungler were AD, but the enemy Kennen began coming to the mid lane. Kennen is a very threatening pick against Akali, and his ultimate can render Akali useless. If it wasn’t for the Kennen, I would’ve built normally and would’ve had a larger impact on the game. And once again, the biggest reason why I had such a messy item build was that of communication issues. You keep mentioned communication issues. Is the team struggling to establish proper team synergy? If you have seen our most recent matches, you’ve probably noticed that we almost never had an early game lead. We won a lot of our games through a mid-to-late game comeback. We hadn’t had a flawless one-sided victory yet. We need to work on our communication and find stable ground over the holidays. I believe we have the potential to become a lot better if we can pinpoint and fix our flaws. It’s not weird for any champion to be picked in the current meta. As a player yourself, do you enjoy this meta? Personally, I can play any champion, so I’m fine with the meta. Honestly, I believe I can win against any top laner if I’m to lane swap -- except for maybe Kiin. (Laughs) Actually, if Kiin comes mid, I can beat him; but not the other way around. The only thing that I’m reluctant about playing in this meta is playing tank mids. Although I can do well on them, they don’t fit well into my usual playstyle. But of course, I’ll play them to the best of my ability if my team needs them. This split is Naehyun’s very first LCK split. What do you think about him? Naehyun has actually been a pro player for a very long time. He spent a lot of time overseas. I’m hoping that he develops a good reputation this split and make a name for himself. I don’t consider him a sub. I consider both of us to be a starter. Calling one player a sub and another a starter can create a competition between the two. Although this can potentially motivate us both, I personally find it better to create a win-win situation for both of us by seeing each other as a starter with equal strength and not as competition. After the holiday, you’ll play against SK Telecom T1. We have a deep relationship with SKT. I have been facing Faker for a long time. As for Rascal, he’ll be facing against Khan who he had competed against for the starter position in the past. There are a lot of stories that tie the two teams together, so it’ll definitely be a fun match. In addition… I don’t know if I could say this… but I believe myself to be a top 3 mid laner here in the LCK. (Laughs) In order to prove my words, however, I’ll need to defeat Faker. I did very poor on Talon in game 2. Next time, when I play Talon, I’ll do better. The Talon pick wasn’t the problem, I was. Seriously... I’ll make sure to improve on the champion in order to fully utilize his strength - and widen our team’s picks & bans strategy.